Leading total security provider Secom PLC has moved into the fire sector with the acquisition of fire safety company Receptor. Minoru Takezawa, Managing Director of Secom Plc, says the acquisition is a major boost for Secom as we are now able to offer a full suite of fire and security solutions. “Receptor is a reputable Fire company and is fully registered as BAFE SP203 -1 firm. Receptor’s emphasis has been built around their extensive Fire safety and engineering knowledge and their commitment to the highest standards of customer care, clearly demonstrated by the number of top industry accreditations and approvals awarded. The operation is very professional and the team has a wealth of expertise in this sector. Receptor is the perfect fit for SECOM to be able to offer this service”. Receptor founder Graham Bettany remains at the helm of the company. Since its incorporation in April 2001 the family business has grown significantly with local and national companies including many high profile names. Graham Bettany says: “This is the culmination of 11 years of hard work, growing the business from a standing start to a fully registered and accredited organisation whose reputation and skills have been recognised by SECOM Plc to launch them into the fire alarm and safety market. This is an extremely exciting time for Receptor to continue a path of rapid growth and add many customers to those who already rely on our skills and services”. Minoru Takezawa says: “Fire and Security naturally sit together for many of our customers and this acquisition allows SECOM to offer the full range of services to our existing and future customers. It is a huge benefit to our existing customer base as we are able to ensure that the added services of Fire Safety can all be supplied by one organisation and our quality of service is maintained at all levels. "The business entity management and operations of Receptor will remain unchanged at present. We will be closely reviewing the whole of Receptors operation to achieve the maximum benefit of this extensive investment for the future development of Secom across the UK fire and security market. 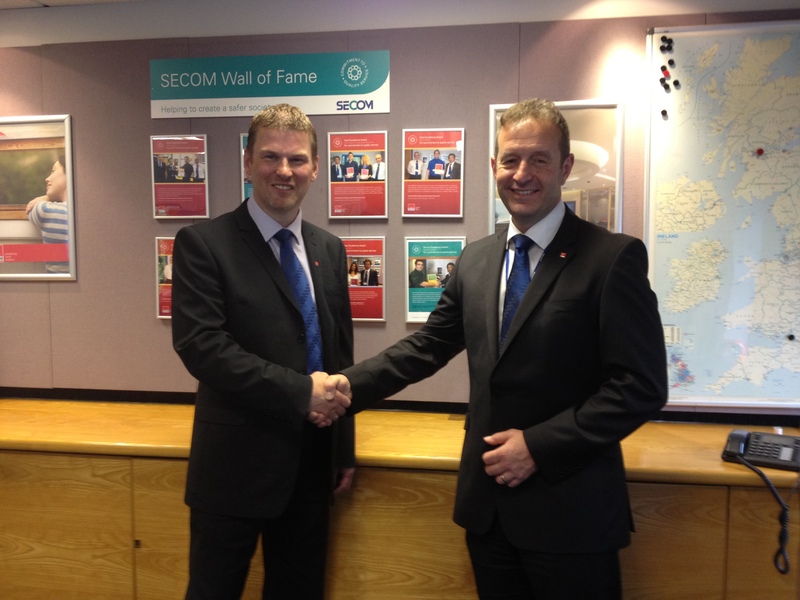 This is the start of an exciting era for Secom as we move our brand of quality service into the fire industry."